We offer a variety of security hardware to complement your hotel door locks. Properties can continue the VingCard design throughout the facility with additional hardware in the same style and finish as the VingCard locks. 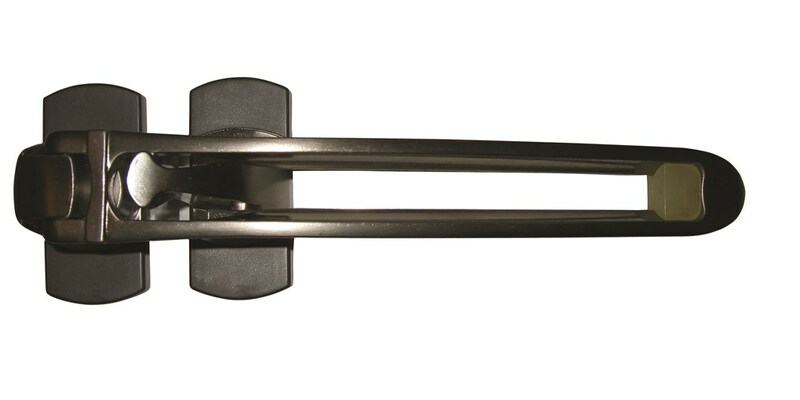 Our door retainer prevents entry of intruders and increases the guest’s safety. A door retainer is a minimum requirement needed to obtain safe identification from strangers at your door. Just having a chain is not enough. Chains often get caught in an open door and can destroy the finish of the door and frame. With our door retainer this problem is avoided. It is easy to use with a strong construction that is impossible to unhook. We recommend that every guestroom be equipped with our high quality door retainer. They are suitable for all hotels with or without VingCard locks. The door retainer can be fitted on flush doors or rebated (overlapping) doors simply by exchanging the removable ring. Installation is done in a few steps. Visionline, the ideal locking solution for the most demanding communities.